Jonathan is a Registered Assistant of FSC Securities Corporation and assists in the management of Resource Consulting Group portfolios. 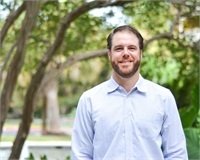 Jonathan joined RCG in April of 2006 after his graduation from the University of Texas at Austin with a degree in Economics in 2004 and a 2-year introduction into the financial services industry at AXA Advisors. He holds both Series 7 and Series 66 registrations and has maintained his Certified Financial Planner (CFP) designation since 2008. Jonathan's background and education serve him well on the "technical" side of investment research and planning combined with his desire to clearly understand each of our clients on a personal level to connect with them in a meaningful way. Jonathan grew up in Richardson, TX (although he has long since considered himself an "Austinite") and married his wife, Brooke, in March of 2006, just before joining the RCG team. When he's not attending a UT sporting event or working out at the gym, you can probably find him out on the golf course!